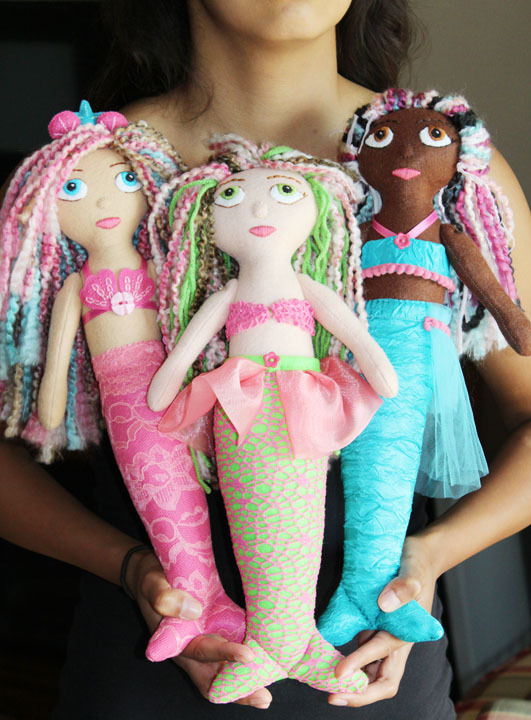 The Sassy Pack Rat: Mermaids Are Still Available! My lovely trio of mermaids are still waiting for their forever homes! They will be in my shop until the end of September then they they'll go in the holiday craft fair bin. I've been feeling a bit better, a bit more like myself but not really up to all the work needed to finish the seahorse pattern. I took on a custom order and I'll be posting about that soon. I did take a custom order though, hoping it would help me get back into the flow of things. 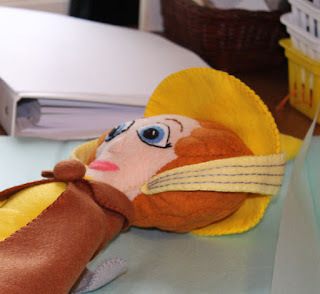 I have a 2 part post about the making of that special doll for those who are interested in all the background design stuff. Here's a peek at that doll.